Arrive at Kanombe (Kigali) airport. Meet, greet and start for Nyungwe Forest National Park. Awaken early for an early breakfast. Go to Nyungwe Forest to track chimpanzees guided by rangers. 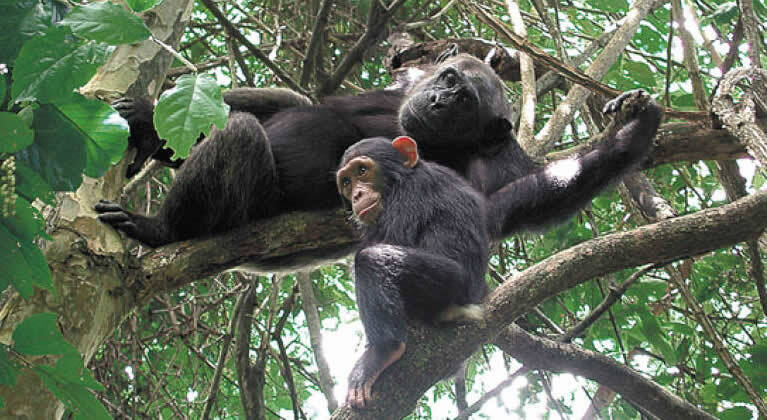 These rangers are aware of best places to easily track these chimpanzees. While you hike through the verdant forest, you will find various other primates such as monkeys, which will excite you as you move closer to the forest chimpanzees. There are various bird species as well for birdwatchers. The opportunity to see these chimpanzees are amazing, you will observe them play, feed and rest. You will be allowed to take numerous pictures after this you will head back to your accommodation. Have dinner and slumber. Covering 970 km2, the highlands provide unique habitat for thirteen species of primate, including chimpanzees, l'Hoest's and owl-faced monkey. As you walk under the canopy of majestic trees, a large group of semi wild colobus monkeys can be seen feeding on wild figs and jumping from branch to branch. This high altitude jungle floor boasts some of the most beautiful orchids in the world.